The Surface Pro 3 I purchased a few weeks ago came with the bundled Microsoft Pen, which is a fancy name for a stylus. At first I didn’t make much use of the stylus, but after a while I decided it was time to experiment with it and see what it could do. 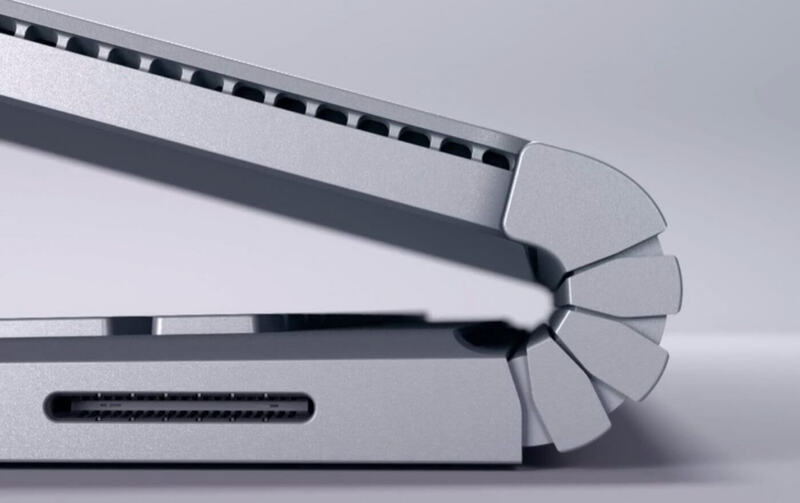 Unlike the fat stylus’s for sale that will work on any capacitive touchscreen, the Microsoft Pen will work only with Surface devices and offers extreme precision. The Surface Pro 3 with preinstalled Windows 10 comes with a program called Fresh Paint, and I played around with that for a while. Then I started looking in the Windows App Store and found ArtRage Touch which sells for $9.99. I was already familiar with the iOS version of ArtRage on my iPad, so after playing with the trial version in short order I ended up buying the full version. ArtRage Touch has a very similar interface across all versions. There are full desktop versions of ArtRage for both Windows and Mac, as well as iOS and Android versions. ArtRage Touch for Windows is similar to the iOS version, but perhaps somewhat abandoned. The most notable shortcoming is with the lack of much ability to save creations. While it is possible to save creations to the standard ArtRage PTG file format, there are apparently zero non-ArtRage applications that can open these files. If you do a direct share to Facebook, ArtRage Touch simply shares a screen capture including the ArtRage interface. I found an acceptable work-around by “printing” the file I want to a PDF format file, making sure that I have the paper size adjusted to landscape and to “print” the entire image to a single page. Then, I open the just-exported PDF file in Adobe Photoshop Elements and export the image as a standard JPG file. This lack of the ability to export directly to JPG is a major shortcoming, so would-be buyers beware. The ArtRage website itself doesn’t even list ArtRage Touch as a version for sale, though they still sell ArtRage Touch in the Windows App Store. If I ever were to become a more serious artist, I would consider buying the full version of ArtRage 4 for desktop machines, which sells on their website for $49.90. Setting aside the problem of how to share creations with ArtRage Touch, it is a lot of fun to play with digital draw and paint tools. Digital versions of various paints, airbrush tools, pencils and papers can create extremely realistic effects with no wasted paper or messy, expensive paint supplies to futz around with. On larger touch screens, “digital gloves” are available that allow the side of the drawing hand to be rested directly on the screen without interacting, though obviously many other types of open-finger gloves or even a piece of cloth would likely have the same effect of preventing capacitive contact with skin. The Surface Pro 3 has excellent palm rejection with native apps such as OneNote and others, but even so the appropriate digital gloves would seem to be a no-fuss solution with larger-screen devices. It is very tiring to try to hold and use a stylus on a large touchscreen device without anything to rest the side of your hand against. Every version of ArtRage includes the ability to pre-load another image, typically a photograph, that allows a “trace” layer(s) to be placed on top. Thus, it is possible to accurately trace out the lines of an image and then paint it afterwards, which can result in some interesting, and sometimes hilarious images. There are also many serious video producers on YouTube that lay out extremely good “learn to draw” lessons that can teach you how to draw if you follow along. Once purchased, ArtRage Touch can be installed on up to 10 Windows devices.